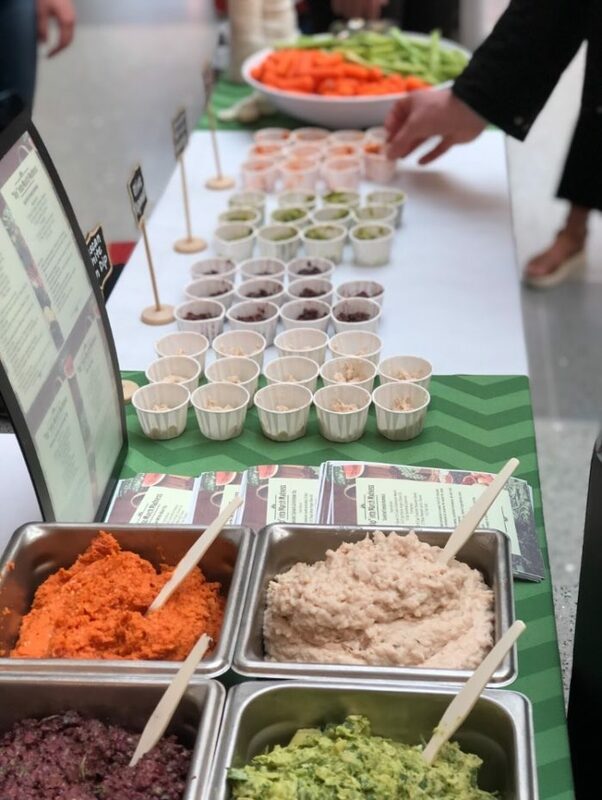 The premise was simple: choose four healthier dips or hummus recipes, plug them into a March Madness style bracket, and have the dips compete against each other for the “championship” by having students vote. Contending recipes included olive tapenade, sun dried tomato hummus, avocado, spinach, & artichoke dip, and Tuscan white bean dip. Each recipe had a distinct aroma, color, and flavor, which made it easy to differentiate between the dips. 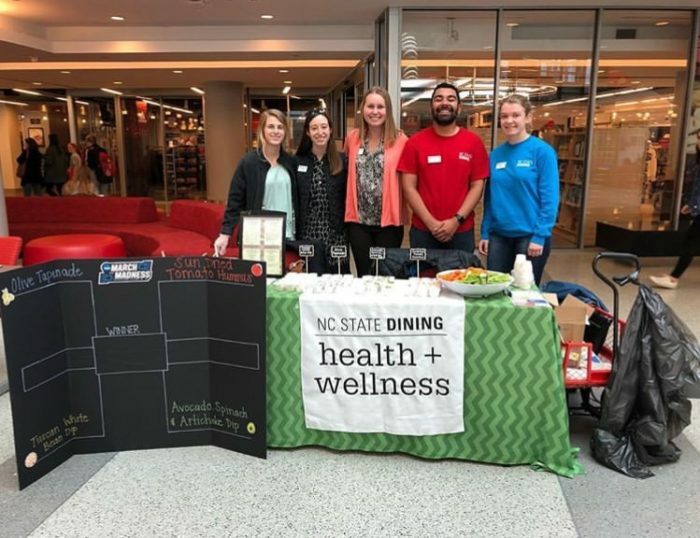 Over 100 students engaged with the table between 11:00 a.m. – 2:00 p.m. on April 3rd in Talley Student Union, choosing the variety of colorful game-day dips to sample and voting on their favorite recipes. By the end of the event, the winner was clear: avocado, spinach, and artichoke dip had 30 votes, with the sun dried tomato hummus close behind with 27 votes. Recipes were well received and students were delighted to taste flavorful, healthier dips with an enticing and clever basketball theme. With the Final Four only a few short days away, the timing couldn’t have been more perfect to host a March Madness themed dip competition.